Muddu Sudhakar is successful Entrepreneur and Executive. Presently Muddu Sudhakar is Senior VP & GM at ServiceNow. where he has a focus on ITOM, AL/Machine Learning Operational Intelligence, IT Operational Intelligence & Analytics, Cloud Operational Intelligence, Mission Critical Applications/ Services, Eliminating Service Outages, Proactive, Predictive, Recommendations Services & IT operations. Previously, Muddu was VP & GM of Big Data, Machine Learning/AI, Security and IoT, Splunk (www.splunk.com). At Splunk Muddu has been working on applications of AI/Machine learning, Big data platform, Thin & Thick App development platform, Open source technologies, IoT Analytics solutions and Cyber Security products. Before that Muddu was CEO of Caspida (www.caspida.com) and Caspida is leader in next-generation Cyber Security & Threat detection using Machine learning. Muddu and team are instrumental in creating new Cyber security market category called “User Behavioral Analytics (UBA)”. Muddu Sudhakar is a seasoned and successful entrepreneur and executive in the Silicon Valley. Muddu was VP & GM at VMware (www.vmware.com) and Pivotal (www.pivotal.io ) from 2012 to 2014 for Big Data Analytics, Machine learning and Cloud Services. At VMware & Pivotal Muddu had responsibility for wide range of projects Big Data Analytics, Cloud Services, Mobile Security. Muddu was co-founder and CEO of Cetas (www.cetas.net) which was acquired by VMware in 2012. 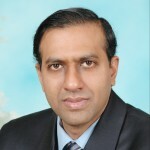 At EMC (www.emc.com) Muddu was Chief Strategy Advisor, VP & GM for Cloud Information Services. Muddu work involved Cloud Infrastructure and Cloud Information Services at EMC. Muddu was CEO & Founder of Kazeon from 2003 to 2010 (www.kazeon.com) which was acquired by EMC (www.emc.com) and Kazeon is leader in Enterprise Information Management. Muddu lead Kazeon to be a leader in Information Security, eDiscovery, and Enterprise Search markets. Before Kazeon in 2003, he was Co-founder & President of Sanera Systems, a next-generation SAN technology company. Sanera was started in 1999 and was acquired by McData (Brocade) in 2003. From 1996 to 2000, Sudhakar was lead architect and designer of CPU and server technology at Silicon Graphics, Inc. The function of the IoT Community, is to focus on the adoption & application of IoT in commercial environments, seeking to understand & contribute to applying the technology or overcoming the wide variety of barriers, inhibitors, and technical & operational issues. As a member of the board, Muddu will provide impartial input and guidance to the overall vision, strategy and execution that is helping to shape the current and future direction for the IoT Community, as well as the broader IoT industry.